We have lots of fun, exciting and cider-centric events we're thrilled to be a part of during Oregon Cider Week! Below is a summary of the events we're a part of, with more details available at the linked event pages. With so many amazing events, we've organized the events by Highlighted Events & then by date. Come out and party with the Portland Cider crew at our absolutely HUGE tap takeover at Loyal Legion, in celebration of Oregon Cider Week! Over 10 different ciders on-tap - the largest cider takeover EVER at Loyal Legion - for your drinking delight! We are excited to be partnering up with the Oregon Brewery Running Series again for another wonderful cider 5k run this summer! All in celebration of Oregon Cider Week, where participants walk, jog, or run approximately 3.1 miles, then drink cider! Everyone is invited to enjoy the day’s entertainment: live music, great food including BBQ from the owners of Portland Cider Co., giveaways and activities with partners and sponsors. Everyone receives a craft brew, and collectors pint glass or seasonal swag item. 10% of our proceeds help support our nonprofit partners, the Oregon Brewshed Alliance, Dollar For Portland, and Life Vest Inside. Registration is limited, so sign up today! An educational class featuring cider tastings from across the world, including those true to the modern northwest cider craft. Led by the cider makers from both Cider Riot and Portland Cider Company, this class is for those with a passion for cider and the craft beverage industry. Get an in-depth look at the history, process, and modern interpretation of cider from two of the top cider makers in Portland! Featuring nine tastings of cider from both European countries and here in Oregon. Limited to a max of 36 guests, this is intended to be a personal, intimate gathering for cider lovers Oregon-wide. Buy tickets in advance to save $5 ($25 Early Bird pricing or $30 if purchased after 6/21/18). Meet the Makers of Portland Cider Co. from 5-7pm, with a special varietal flight poured all night for $15 featuring Union Jack, English Pub 2017 & the first tapping of English Pub 2018! One of the most beloved taproom exclusive ciders at Portland Cider Company. Learn all about the unique cider making process we take for the English Pub Cider, written up by the Willamette Week as a "revival of one of the most singular ciders in Oregon." Join us at the 8th annual Cider Summit PDX at the beautiful Fields Neighborhood Park in the Pearl. This year's event will feature nearly 200 ciders, cider cocktails and apple spirits, including a couple limited release ciders from us! Look for updates with an expanded food selection and more great live music. Tickets start at $25 if you purchase before June 1. More info at www.CiderSummit.com. 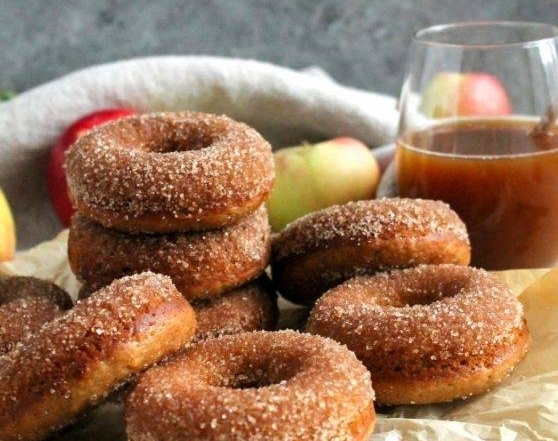 What's a better way to spend a Sunday than with cider and donuts? In celebration of Oregon Cider Week, local bakeries have partnered up with Oregon cideries for an all-day Cider + Donuts pairing event at either Portland Cider taproom! Find donuts from amazing bakeries, paired up with NW ciders for an ultimately delicious Sunday treat. 6 cider tasters + 6 donut pieces OR a Kiddo Friendly donut + sparkling non-alcoholic apple juice package. Based on the popularity of this event, Advanced Tickets are required for Hawthorne (Portland Cider House) for different times throughout the day. Tickets are available at the door at our Clackamas Pub. More details & tickets available here. Win $500 in cider and swag by checking in on social media at your favorite Cider Taprooms in Portland. In honor of Oregon Cider Week, all the cideries in Portland have partnered together to bring you the PDX Cideries Passport & giveaway! Visit Portland cider houses & pubs during Oregon Cider Week for a chance to win $500 in cider & swag. All Oregon Cider Week long (June 21-July 1), you can check-in on Instagram at a participating Portland area cider pub with the tag #ORCiderWeek to be entered to win $500 in cider & swag! Entering is easy as drinking a glass of cider & taking a picture of it. Every picture & post is an entry, so we encourage you to stop in at many Portland-area Taprooms & Oregon Cider Week events to get lots of entries! Participating cideries include: Portland Cider, Schilling Cider, Reverend Nats, New West Cider, Oregon Mead & Cider, Cider Riot, Alter Ego & Swift Cider. In celebration of Oregon Cider Week, Portland & Schilling Cider House in SE Portland are releasing their 2nd annual commemorative "Cider House Love" growlettes. Be one of the few to get your hands on these adorable 32oz. growlettes in celebration of collaboration and the overall Northwest cider industry! Our goal with the Cider House Love collaboration project is to support Northwest craft hard cider makers and the craft hard cider house scene. By supporting one another by pledging to share the Cider House Love and have one another’s ciders on-tap, we are encouraging cider loving patrons to help us in support of the overall Cider industry here in the Northwest. You can find Portland Cider on-tap at Schilling Cider House & Schilling Cider on-tap at Portland Cider House all Oregon Cider Week long (June 21-July 1)! And join us for our celebratory Cider House Love event on Thursday, June 28 with Apple Art, giveaways & fun. Taplist to feature some favorites & limited releases. More information posted on our Facebook event page. Kick-off Oregon Cider Week with us at Loyal Legion and drink a pint with the Portland Cider crew! We'll have 10+ ciders on-tap all weekend long in celebration of Oregon Cider Week, but Thursday, June 21 you'll find a huge crew of us there with freebies, swag & more. Orchard Sunrise Painting Class at Portland Cider Co.
Come kick off Oregon Cider Week Week with Portland Cider Co and Free To Be Art by painting Orchard Sunrise with us! This is a sell-out painting class that we've hosted for the last several months, and we're excited to be partnering with Free to be Art for a special orchard painting for the night. $30 tickets include instruction, paint supplies, canvas and fun! Vote Portland Cider's Honey Lavender cider as the "Best of PDX" in this one night flight special with a voting bracket to kick-off Oregon Cider Week! Follow our Facebook event page for more details. Join Portland Cider Company at John's Marketplace for a special cider tasting in honor of Oregon Cider Week! Featuring Portland Cider's special release Honey Lavender, a collaboration cider with Salt & Straw Ice Cream, with lots of other ciders to try. Swag prizes & fun games! Join us as at the Bauman's Farms for the kick-off event for this year's Oregon Cider Week! There is no better place to celebrate Oregon Cider than on a century farm that has been making cider since 1895. Admission is $20 and you receive a tasting glass and 10 tasting tickets. Pre-purchase tickets here for a couple extra drink tickets. Find our limited release of Guava Hopanero cider on-tap at the 3rd annual Fruit Cider Invitational hosted by Cider Riot on the opening weekend of Oregon Cider Week. Sample many of your favorite fruit ciders and some special releases at this summer favorite fest! Honey Lavender, our limited release cider for June & Oregon Cider Week, was made in honor of this iconic Clackamas County festival! Made with lavender from last year's harvest and local honey, it's the perfect refreshing sipper while you gaze upon the purple fields and Mt. Hood views. Get on your bikes and ride! Join us on a cruiser ride to Portland's best Cider Houses. Stops include: Schilling Cider House Portland, Portland Cider House, Cider Riot & Reverend Nat's Hard Cider. A night at the Portland Cider House on Hawthorne dedicated to the cideries in the city of Portland. Sample special ciders on-tap, get extra chances to enter the PDX Cideries Passport $500 Oregon Cider Week giveaway package & more! Find Portland Cider Co. at Hop n' Cork along with Silver Moon Brewing for a night of Trivia fun! Shoot off water rockets, concoct chemical creations, and explore the wonders of OMSI with no kids in sight! Enjoy a glass of cider at this popular, sell-out cider festival during Oregon Cider Week with 15+ local cideries. Portland Cider Co.'s Pineapple cider will be on-tap, along with over 50 other ciders from Oregon cider makers at Schilling Cider House Portland, with a special randall infusion for one night only! Oregon Cider Week means it’s time for our annual Cider House Love growlettes with Schilling Cider House! Only a limited number exist, so get your hands on one of these 32oz cuties early on (we’ll both start selling them at either Cider Houses at the start of week - Monday, June 25). To celebrate all the “Cider House Love” going on during Oregon Cider Week and beyond, both Portland & Schilling Cider House will be hosting a celebration night on Thursday, June 28. Find special ciders on-tap from each cidery at the other Cider House (Schilling @ Portland; Portland @ Schilling), with fun Apple Art activities to do for the night! Everyone who participates gets entered to win a raffle for one of the commemorative 32oz growlettes + a gift card for a fill. Find Portland Cider Company in Eugene to celebrate Oregon Cider Week at Ciderlicious, our favorite hard cider truck and garden! We'll be taking over the taps for a Tropical Tap Takeover, complete with a "Take It Off Thursday" Luau Photo Booth, coconut bras and all. Enjoy distinctive libations from Portland Cider Co., Swift Cider, Square Mile Cider Co., and Cider Riot that include ingredients like fresh fruit, infusions, vermouth, bitters, barrel aging, digestifs, and little cocktail umbrellas. We're featuring a super limited release of a French Gimlet inspired cider cocktail! This year's event will feature nearly 200 ciders, cider cocktails and apple spirits, including a couple limited release ciders from us! More info at www.CiderSummit.com. Timbers Viewing Party with Portland Cider Co.
Join Portland Cider Company at the Civic Taproom for the official 107ist Timbers Viewing Party of the Portand vs Seattle match! Cider will be flowing in honor of Oregon Cider Week, while the rivalry heats up and the chants get loud. Find Portland Cider Co. at the Inaugural Edgefield Brewfest! Hosted on the same lawn as the Edgefield concerts, you'll find more than 100 of Oregon & Washingtons breweries and cideries in one place.